Waterproof headphones are the new audio craze for 2019. You can use these babies when you get finished working out, and without missing a beat – (ha!) – you can run straight from the beach into the ocean and not even worry! Want to get your jam on while swimming laps? You could also easily use these when you’re playing your favorite game, or if you are wanting to call your beach blanket home base for awhile. Whatever it may be – we’re positive you’ll like the waterproof headphones in this list, and there’s most likely a good fit for you below. MP3 – These will be waterproof headphones that have an MP3 player built in to the ear pieces. These are typically intended for swimming. Headphones – These are waterproof headphones that are NOT Bluetooth that you still need to plug in to your waterproof MP3 player or phone. So if you want to just use your phone as your music player go with the Bluetooth ones, but if you’re more of a swimmer you can open up your options and look at all 3 styles. 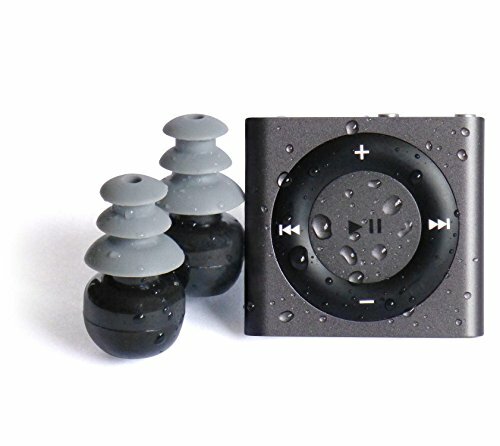 Underwater Audio iPods come with FREE black starter waterproof short-cord headphones. 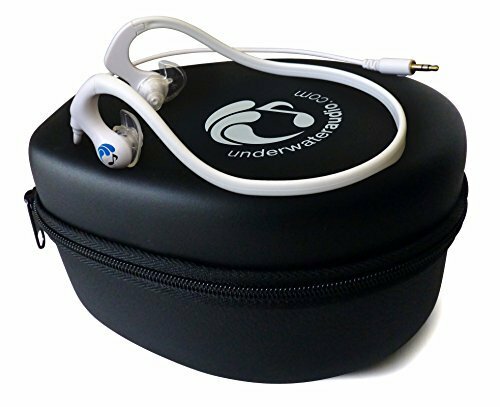 ***SPECIAL*** Save $20 and upgrade to #1 top rated Swimbuds SPORT waterproof headphones NOTE: MUST ADD BOTH ITEMS TO CART to activate offer. This post is entirely about the best waterproof headphones so the first thing we’ll discuss over every model is the IPX rating. IPX rating is essentially waterproof rating of an item. It stands for Ingress Protection or International Protection sometimes too. Not only does this scale apply for water but it also applies to dust too, and the items ability to keep the two out of the internal components. For this post though we’ll just look at the water scale. Here’s a table that shows the scale of the IPX scale. IPX0 – no protection against water whatsoever. Right when it hits the water it’s toast. IPX2 – offers protection from dripping water when device is rotated 15 degrees any direction from vertical for 15 minutes. IPX3 – offers protection from a spray of water in any direction when the device is rotated up to 60 degrees in any direction from vertical for at least 5 minutes. IPX5 – offers protection from a 6.3mm spray of water (12. Liters per minute) in any direction for at least 3 minutes. IPX6 – protection from a 12.5mm spray of water 100 liters per minute in any direction for at least 3 minutes. IPX8 – offers protection defined by the manufacturer. If it exceeded complete submersion at a certain depth past IPX7 then typically a manufacturer will state so. Another important thing to mention is you will see IP57 rating. If you see two numbers the first stands for the protection against solids such as dust, and the 2nd is for water. Some other online guides feature waterproof headphones that aren’t actually waterproof. Every waterproof headphone in this list actually is waterproof. To the point of complete submersion. Sound clarity is crystal clear among all of these waterproof headphones, but we’ll also give you an in depth idea on what type of clarity. Are the highs and lows good? Is there a lot of bass or very little? Do they put you in your own world and allow you to hear nothing else but your music? Is there any difference in sound when you’re using them out of the water compared to swimming with them? Obviously that will be a yes as the water will block out most sound, but to what extent will it be different? There’s a few different styles that you’ll see here. Some have a neckband that lays comfortably on your neck while others are more of the typical cord style that you see on standard headphones today. Another view into the FIT that we’ll be covering are the ear buds. Nobody likes a painful headphone to wear for an extended amount of time. We’ll make sure to cover if they stick out too much, if they have wing tips on them to fit your ear more snug, and of course if they have interchangeable ear pieces because that’s always nice to have. Everyone’s different. Obviously this is important too, but we’ll look at whether or not battery life is affected on the waterproof headphones if used more underwater (maybe it has to work harder?). If you intend to wear these for just working out as well there’s nothing worse than running out of battery midway through a workout. Ruins the vibe! Does it have call capabilities as well? How easy is it to pair, and does it stay paired? Can I adjust the volume easily? Can I shuffle songs, or just switch them on the fly? Volume control isn’t ideal. A single notch on the left ear piece for volume up & down (press the notch many times for volume up, and continuous hold for volume down – can be a bit tricky). Band may stick out far instead of staying flush with your head (depending on head size). The BackBeat Fit topped our list for the best waterproof headphones for 2019. Why? These are all around versatile when it comes to use, and the style is phenomenal. You can easily wear these when you're working out, running (yes, in the rain too), swimming, or just doing a grocery run. 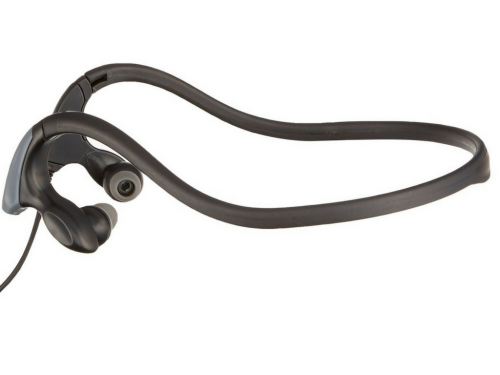 The Plantronics Backbeat Fit has an IPX rating of IP57. So it’s completely submersible in water for a period of 30 minutes. Although we’ve heard they can last much longer than that. Keep in mind that is considering when you’re completely submerged so if you’re swimming a few laps every time your head tilts to one time and the Backbeat comes up for air like you do that is considered not submerged. This would apply to a lot of the waterproof headphones within this list. The sound is super crisp with these so you can have a completely uninterrupted workout with these on. There is a lot of thump here with the bass, but not enough to keep you squinting at all. Aside from the music playing through these the call quality is exceptional as well. 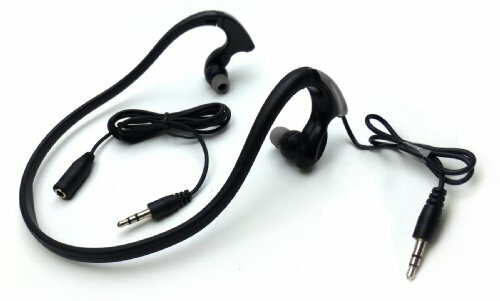 What you typically see with headphones in general is that any ‘in ear’ headphones where the microphones is in your ear rather than on a cord close to the path of your voice – the call quality is terrible. But with the fit waterproof headphones the call quality is exceptional. That’s a sign of great technology and materials used in the product itself. FYI - If you're in to other cool techy stuff we recommend checking out these awesome metal detectors. It could fill your next trip with treasured memories! The ear pieces have a soft rubbery style feel to them and they fit snug in the ear. Not to the point to where it hurts after a long period of time though. You can wear these all day, and actually forget that they are in your ear in the first place. The battery on these waterproof headphones are made to last all day which is nice. It lasts around 8 hours of continuous playback and talk time so if you are working out 4-5 times a week it will last you an entire week of workouts without running out on you. Another cool battery life feature on the BackBeat Fit is you can go from a dead battery, and give it a 15 minute charge and that will give you an entire hour of listening. These waterproof headphones are NOT an MP3 player. They are Bluetooth waterproof headphones so you have to connect to your phone via Bluetooth to stream music. You can easily take calls, pause and play music, and skip forward but the volume control is managed by the Bluetooth connected device. Not the Bluetooth headphones. The Plantronics companion app that goes along with these headphones will wirelessly update the firmware on the headphones to ensure you don’t experience any bugs to keep your music streaming smoothly. The carrying case that the BackBeat Fit comes with isn’t just a pouch. If you turn it inside out it becomes an armband to hold your phone for you while you run or workout! May be a tad bulky if you aren’t going to be using these for swimming. Hands down the best waterproof headphones you can buy if you're going to be swimming long distances. The BackBeat fit took our top spot overall, but specifically if you're going to be out of range of your bluetooth device then Sony has got you covered. Load up your favorite music into the headphones themselves. No cords. No range. Just audio. The Sony ..BLK has a waterproof rating of IPX68. The water scale part of that being an 8 so the manufacturer actually deems it better than IPX 7 so you can easily use these past 30 minutes completely submerged underwater. The sound clarity of these waterproof headphones are exceptional. However, you have to configure them the right way. Sony has an app called SongPal that you can use to control your Bluetooth connected devices, and once these are connected it’s best to adjust the sound quality to your liking. We also recommend using the larger ear buds if you can manage to make them fit. They seem to allow more bass to come through rather than the smaller ear buds allowing for a more in depth audio experience. There is also a built in microphone that comes with these if any incoming calls head your way. The call quality is very clear just like the music is. They sit snug, but not too snug so you can remain comfortable while you’re running or swimming…or if you’re just doing the running man at the bottom of the pool for laughs. 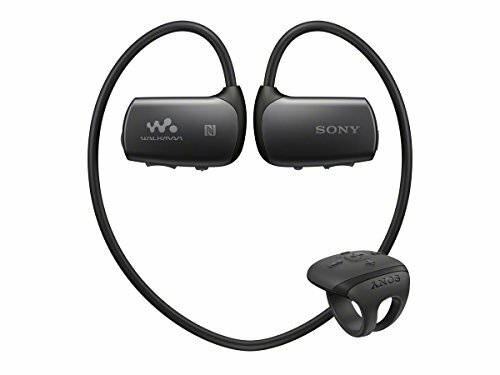 Sony says these waterproof headphones last around 8 hours, but that all depends on how they are used. If you’re blaring your music, and using a certain EQ it can certainly drain the battery faster and if you’re switching between calls and listening to music. For most situations you can expect anywhere from 6.5 to 8 hours with these waterproof headphones. In regards to being versatile this model probably tops our list. If you are looking to get waterproof headphones with no built in mp3 let’s break this down for a second. With these you can seamlessly switch between Bluetooth audio, or use the audio that’s loaded into the mp3 player itself. The mp3 storage is 4GB so it has enough space for you to listen to a good chunk of music without hearing repeats. 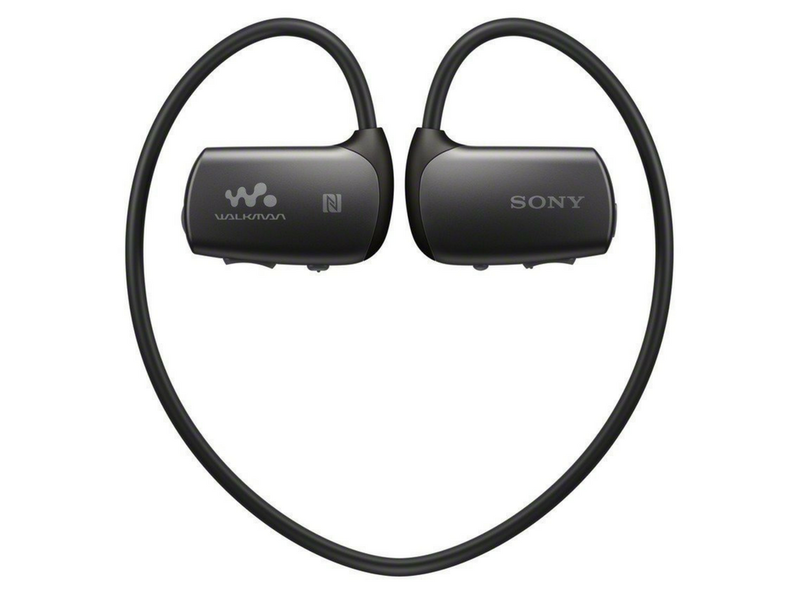 Another great feature that the Sony waterproof headphones has on them is the ‘ring control’. It’s a little device that you put on your finger just like a ring that allows you to switch songs, take calls, power the device down, and also easily adjust the volume. If you’re an avid swimmer think about if you’re swimming laps. You can easily adjust this on the fly once you complete a flip turn and push off rather than reaching for your ear to make a quick adjustment. All around this is a high quality set of waterproof headphones. Does not include a waterproof mp3 and does not have Bluetooth capabilities. Hydroactive makes the best waterproof headphones if you are an avid swimmer (and a fast one at that). The firm neckband keeps these in place, and the short cord won't allow slack to get in your way of getting your laps knocked out. Hydroactive headphones boast a rating of IPX8 so you can comfortably where these longer than 30 minutes, and at greater depths than IPX 7. Looking at the name of these waterproof headphones you should have no problem with them at all. Sound clarity is exceptional for a couple of reasons here. Second, the ear tips provide a water tight seal so you not a single drop of water will come between your audio and your ear canals. So it will be like listening to your music above the water – except you won’t be. Hydroactive waterproof headphones are 1st place in this category. Because they went above and beyond to make sure that these headphones will without a doubt fit you. They come with 4 different styles of interchangeable ear tips that you can use for not only different ear sizes, but different activities. The battery life is completely dependent on the waterproof mp3 player that you’re using. Highest rated waterproof shuffle in the industry backed by a 2-YEAR WARRANTY and the best customer service. 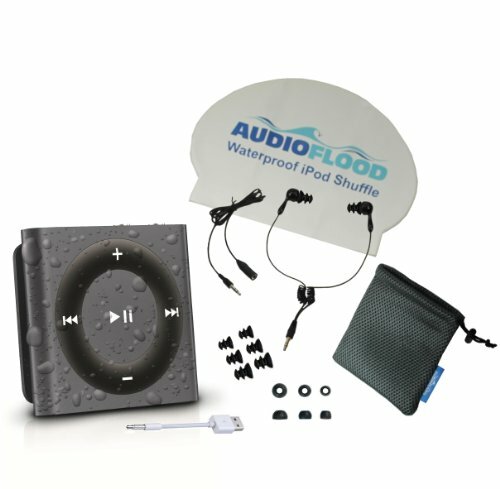 Our innovative waterproofing process produces the most durable and highest rated waterproof mp3 player. Not as many features here as the other waterproof headphones within this list because they plug into the 3.5mm headphone jack of your audio device (whether that be an mp3 player or your phone). The broad amount of ear bud sizing is most notable here, and the comfort band that sits on the back of your head/neck so you can dive right into the water and not worry about them flying off. Out of this list these are one of the highest rated waterproof headphones on Amazon. Short cord allows you to be tangle and hassle free in the water so you can focus on what you’re doing and not a mess. Only works plugged into a Bluetooth device or underwater mp3 player. Swimbuds & Swimbuds Pro are some of the best waterproof headphones for laps (just like the hydroactive), but can also easily switch over to being your daily gym headphones. They do include a short cord so tangling them or being in the way won't be an issue, and they absolutely kill their reviews on Amazon so you can be sure these aren't a bad choice. 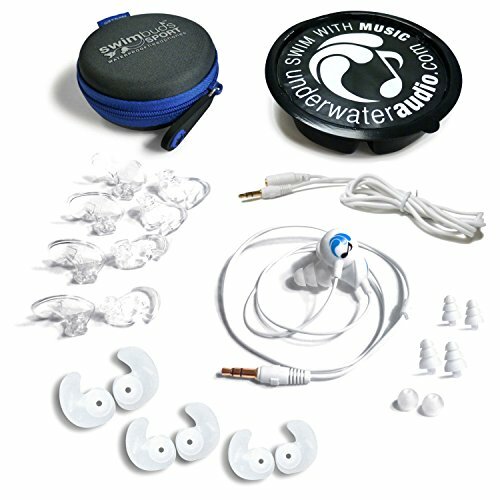 Swimbuds are some of the best waterproof headphones on the market. They boast an IPX rating of 8 so you can spend hours in the pool or the ocean, and you can easily use them out of the water. They look very similar to just your standard headphones, but they are completely waterproof. Not as much bass as some of the others above, but you can definitely still feel it and hear it. There are crisp highs and low lows, but it doesn’t thump as hard as say the BackBeat Fit. Swimbuds come with the medium sized ear tips out of the box, but you can easily swap them out to the smaller size or the larger size, and also the knubby kind. Plug in waterproof headphones. Completely dependent on the battery of the audio device. Swimbuds waterproof headphones feature 2nd generation HydroBeat technology so you will get a completely immersive underwater audio experience. Not only that, but the ‘knubby’ earbuds I mentioned above are great for splash activities if you know you will be kayaking, or SUPing, or just swimming above the water. Redesigned from the ground up, Swimbuds Sport offers more of what our customers ask for: Better fit, greater comfort, and a rugged design. Includes 4 different styles of earbuds! Different earbuds work for each athlete. Find the fit that works for you. Instead of going over every detail – the swimbuds sport waterproof headphones are essentially the same as the standard set. You get more options on fit. So if you’re someone who either shares their earphones (jk that’s pretty gross), or you want to have a fit for every type of activity and pickiness is your strong suit with headphones then grab these. Not only do they come with the tree shaped ear buds that the original swim buds have, but they come with 4 different styles in different sizes. We mentioned above that Swimbuds were highly rated on Amazon, but these were rated even higher! 100% Waterproof with gold plated stereo jack to prevent corrosion. No more stuffing long headphone cords under your swimcap or goggle strap! These are essentially identical to hydroactive, but they are typically cheaper. Check the link above to Amazon to see if that still holds true as prices change. Shortcord to be hassle free. Relies on a Bluetooth device or a waterproof mp3 player. Hydroharmony makes the best waterproof headphones for swimming laps (just like the Hydroactive), but they are typically cheaper. We've found these for a 3rd of the price. Be sure to check the link just below to see if that still holds true. IPX rating is 8 here. Dive in, do a cannonball, or do some flip turns in the pool you’ll be fine. Hydroharmony earphones has very similar to sound to swimbuds as they sport the Hydrobeat feature as well to give you the completely immersive underwater experience we previously mentioned. The fit here is snug, but you don’t have to CRAM these into your ear canal. Just enough to where the water doesn’t come between your audio and your ear to interrupt your experience. Hydroharmony headphones also don’t include any Bluetooth connectivity or a built in waterproof mp3 player. Because of this it’s completely dependent on the device you’re plugged in to. Even though the ear buds are plain Jane they fit comfortably and they won’t budge on you. Even with rapid movements. 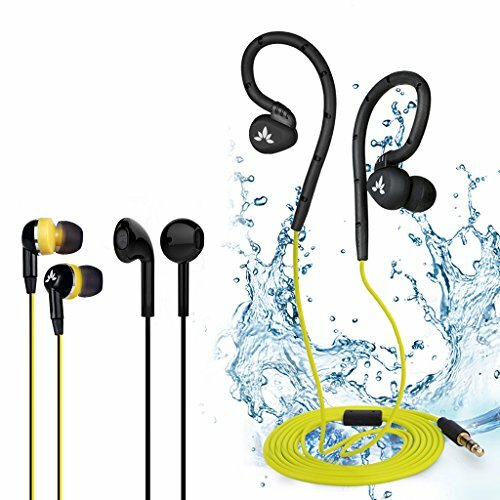 That coupled with the price (see most updated Amazon price above) make these a great option for those looking for a pair of waterproof headphones on a budget. 3 types of earbuds: On Ear (wraps around ear), In ear, and waterproof sport earbuds. Volume adjustment on the cord! No built in waterproof mp3 player or Bluetooth. 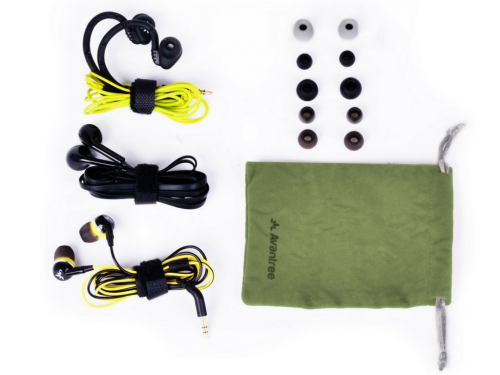 Avantree makes the best waterproof headphones for versatility. We already said that right? Yes we did with the BackBeat Fit (our top pick). The real differences here are that Avantree's are more cord style, and BackBeat if neckband style. Avantree has no bluetooth connectivity so they are plugin, and the waterproof earbuds aren't in all the time. It comes with 3 sets below. Not a bad price at all for completely waterproof headphones. Avantree waterproof headphones are IPX 8! Just like most of the other waterproof headphones in this list. The IPX rating of 8 ONLY applies to the waterproof earbuds. The in ear and on ear are not waterproof so we don’t recommend swimming or snorkeling with those on. The sound clarity isn’t by any means phenomenal here, but it does get the job done. Look at what you care about most. Is it your wallet, or is it to hear every single high and low of every song while you swim? If it’s the former then these are for you, but if you’re an audiophile then go for one of the other picks in this list. 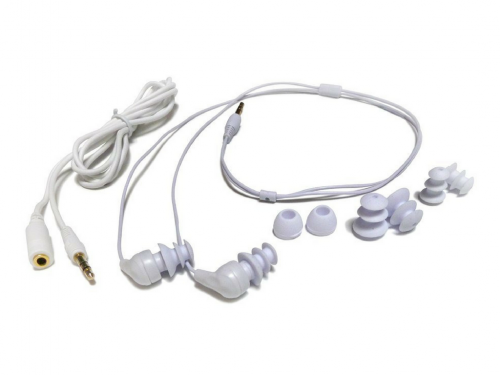 The fit is different for all 3 of the ear buds, so this makes this set versatile for any situation you may be in without risking comfort at all. No external battery & reliant on device. 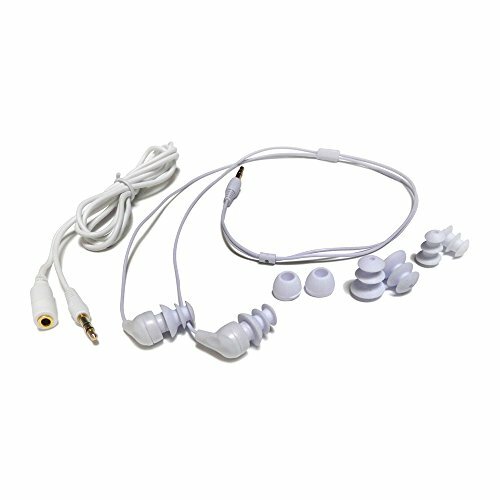 Overall the feature set is straight forward with the 3 types of applicable ear buds, and of course the volume adjuster on the waterproof headphones. Definitely a great fit for your wallet without falling into the ‘you get what you pay for’ and lack of quality category. Super helpful. Thanks for posting and breaking this all down! Saved me some time! Going to go with the the first one! So far, Plantronics Headphone sound quality is as exceptional as its features. This comfortable headphone has well-balanced treble, bass, and other audio details. The pros and cons of this article really helps and its easy to understand as well, especially to those who are not into technologies.